It is said quite a lot, and we’ll repeat it: the location of the restaurant is crucial to its success. Much thought and planning need to go into deciding the location, and many factors need to be considered before selecting the site. Therefore, we have compiled a complete restaurant site selection checklist that you must refer to before finalizing the place for your restaurant. If for some reason, you are still not able to finalize your ideal location, this article will tell you what to do in case of a bad restaurant location. Keep the following points in mind while deciding the location of your restaurant. Before you do anything else for your restaurant site selection, you must do market research and an industry analysis on the location where you wish to open your restaurant. The area where you are going to open a restaurant must be scrutinized on all levels: right from the current competition to your potential customers. You must also do a demographic survey to understand and identify the potential customer base, and their eating preferences. For example, an expensive excellent dining restaurant in an area majorly populated by students and youngsters is not going to do well. It is also a good idea to identify your existing competition in the vicinity; if a competitor is doing well in that area, it means there is an established customer base in that area. You would now only have to figure out to funnel the customers from your competitor’s to your restaurant. A front location can do wonders for your restaurant. A restaurant right at the front of the building has maximum visibility and generates the highest footfalls compared to the other areas. Customers usually choose the restaurant that is right in front of them. 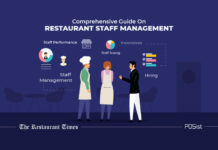 If your restaurant is not readily visible or requires customers to take a detour, chances are the customer would not go to your restaurant at all. Upper floor locations should ideally be avoided during your restaurant site selection process. Rooftop locations have less visibility, and it is also difficult for customers to reach the top floor restaurant. If you must set up your restaurant on an upper floor, at least ensure that the building has an elevator. Rooftop restaurants are favorite among customers, but there are some hassles involved in them. To get a trade license, the rooftop restaurant cannot have a kitchen on the top floor. Therefore, you need to have another level to set up the kitchen. This can turn out to be a little troublesome as you need enough staff members to send food on the rooftop. The size of the location is an essential factor to be considered during the restaurant site selection process. The size of the restaurant does not just imply the dining space. The site should be big enough to accommodate all the kitchen equipment. Walk-in freezer, cooking stations, etc. all require large spaces. Depending on your concept you can decide the size of the seating area, bar, etc. A cramped up space to accommodate more customers often works the opposite and drives customers away because of the small and narrow dining space. 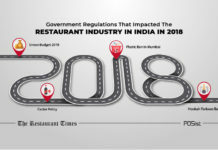 Easy accessibility to the restaurant and the parking space around it is an essential aspect of restaurant site selection that must not be ignored. If the customers are not able to reach the restaurant quickly, they are more likely to choose a different restaurant to dine altogether. Parking is also an essential part of the location. If your restaurant does not have a designated space for parking, then customers would merely go to another restaurant where they can park easily. You need to check whether the building that you have chosen for your restaurant has the desired amenities or not. Complete power backups must always be present in the restaurant building. Having a bathroom is also a must in the restaurant, and must not be ignored during the restaurant site selection. All the factors mentioned above decide the price of the property. Prime locations with better facilities cost more. A good spot is essential; however, it does not make sense to spend a fortune on the restaurant site. The cost of the site must never exceed more than 10% of your revenues. Choosing a restaurant site that fulfills all your requirements, and yet is cheap can be a daunting task, and is, therefore, one of the biggest challenges of setting up a restaurant. Restaurant site selection is one of the first steps of setting up a restaurant. The success of a restaurant is heavily dependent on the location and must be chosen carefully. Was this article helpful? Let us know in the comments below! 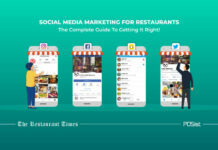 Next article9 Effective Offline Restaurant Marketing Ideas That You Must Try Out! This article is awesome!!!! kudos to the team. Really useful tips on choosing restaurant location. For rooftop, getting the license is important as there are so many government regulations that prohibit rooftop restaurants. When determining accessibility, it is necessary to consider traffic system, number of lanes, speed limits, and the existence of median strips. You should also evaluate automobile or pedestrian traffic counts, traffic flow, traffic peaks and valleys by hours, and other pertinent data. Great article, well done Restaurant Times. Selecting a location for the restaurant is the first thing anyone should be paying attention to. 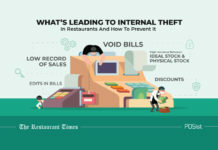 Your restaurant location will decide the fate of your restaurant in the long run.